View power usage and calculate power costs. Set up multiple timers to control the time of day your powered products are on or off. Use the free application to switch your Smart Switch on or off from anywhere. 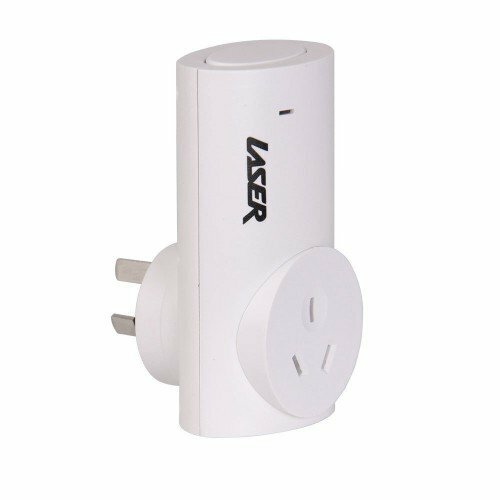 The Wi-Fi enabled Laser Smart Switch connects wirelessly to your home internet router. This allows you to turn your home appliances on and off from anywhere using your smartphone. The Laser Smart Switch APP allows you to view information about the device’s energy usage and usage costs. It‘s perfect to pair with heaters, wall A/C units, TVs, washers, dryers, fans, lights, watering system and more.